These departments support essential infrastructure services to the City and the community by providing on-going maintenance of right of ways, streets, drainage maintenance, traffic signs, lights and signals. Capital projects are also managed through Public Works. The Public Works Department provides construction, technical, permitting, and planning services to the City and its citizens in order to enhance the overall infrastructure and development of the City. 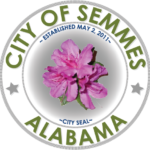 Permitting – Includes utilities, storm water/erosion control, driveways, and city-required permits. Crews perform routine litter and dead animal removal within the streets and right of ways of the City limits. Crews repair potholes and street failures routinely and upon request within the City limits. Crews repair drains, inlets, and eroded ditches within the City limits upon inspection or request. Crews mow and trim City Right-of-ways, Parks, and Facilities on a routine basis during the growing season.Priority is given to major through fares, but requests will be handled on a case-by-case basis. Please call the Public Works department for non-routine maintenance requests. Crews repair and replace all street and traffic signs within the City limits as needed. The City contracts all traffic light and signal maintenance to a certified and licensed contractor. To request any of the services above, please call the Public Works Department at 251-649-5752 or fill out a request in the Action Center and submit.